Scoring chances, let alone goals, came at a premium. 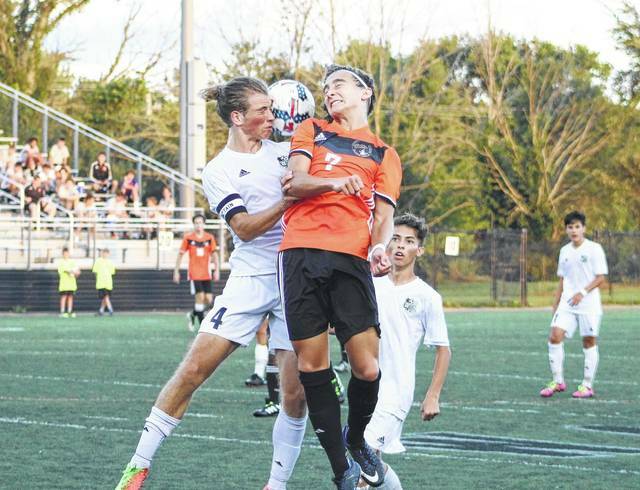 The Delaware Hayes boys soccer team played to a scoreless draw at Westerville Central to open the 2017 season Friday night. Brigham Kannally provided the biggest scoring opportunity for the Pacers. His shot was saved by the diving Central goalie, Jacob Borcila, in the fifth minute – one of two saves for the goalie. “We didn’t put the ball in the back of the net. There were hundreds of victories that happened based on the things we did or didn’t allow them to do to get a tie away against a really good team,” Diehl said. “For us, we need to figure out ways to score … but the thing of it is we kept the ball out of our net, too,” he added. Delaware narrowly evaded disaster when Abdi Hafid Salah headed an Enrique Monzalvo corner kick off the crossbar and over the goal in the 69th minute. All said, Diehl was happy with the opener. Noah Meehan stopped two shots in goal for the Pacers. Delaware opens its home schedule against county-rival Big Walnut Tuesday night at 7:15 p.m. in non-league action. Hayes’ Brigham Kannally (7) and Westerville Central’s Sam Slocum (4) battle for a 50-50 ball during the first half of Friday’s season opener in Westerville.